Companies all over the country make machines that make our lives better, from computer equipment to turbines to farm machinery to elevators. If your product can help them crank out motorized implements and tools like these, market it with this industrial and commercial machinery manufacturers email database. Sell your product to computer equipment manufacturers, industrial machinery producers, and companies that churn out machines for commercial use with ease when you first buy this commercial machinery manufacturing email list, which is filled with the real names, email addresses, job titles, company details, phone numbers, mailing addresses, and fax numbers of people who have the authority to make purchases at these companies all over the country. This email marketing list is filled with the sales leads you need to make important B2B connections, all at an affordable price. Your sales staff doesn't have time to waste on pitches that will just bounce back because of outdated or incorrect contact information. 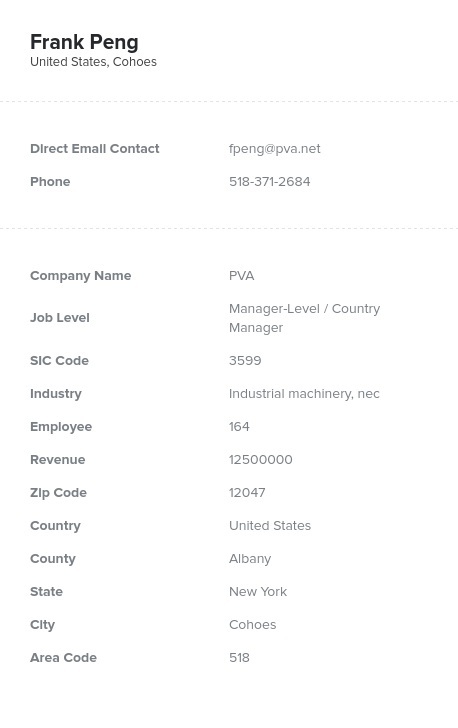 That's why we double-check every single business database we sell, including this commercial machinery production mailing list, to make sure that every bit of information is accurate and current. We regularly run each B2B email list through an automated process to pick out errors, and we then scrutinize every detail with real human authenticators. We even back our targeted email lists with a deliverability guarantee: If more than five percent of your messages bounce back, we'll make up the difference. That's how sure we are about the quality of our email address lists!